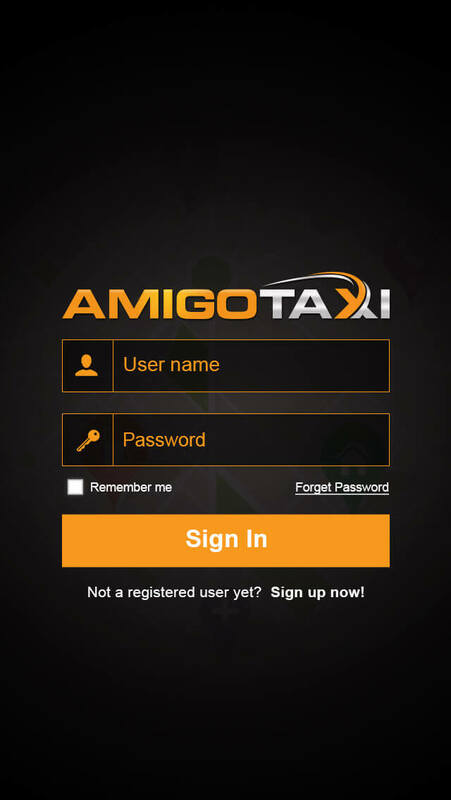 Amigo Taxi is a cab service booking App that brings booking rides to your fingertips. It detects your location when you open the App and shows you cabs in the vicinity of your area. 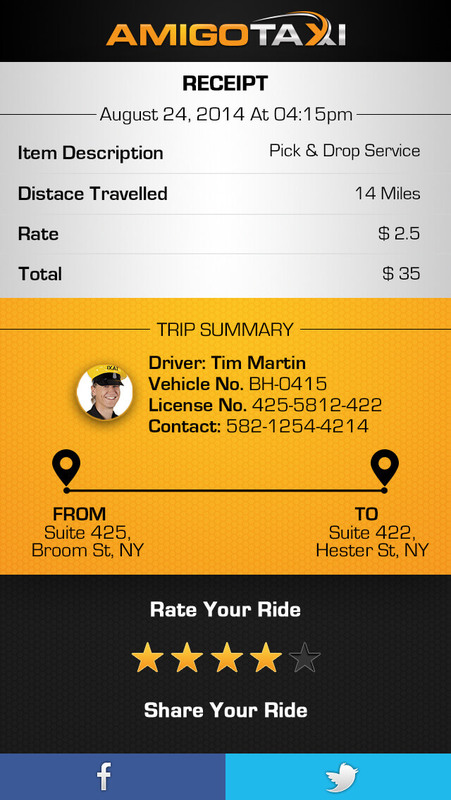 One of the available cabs is then sent to your location and you are sent the contact number of the driver. 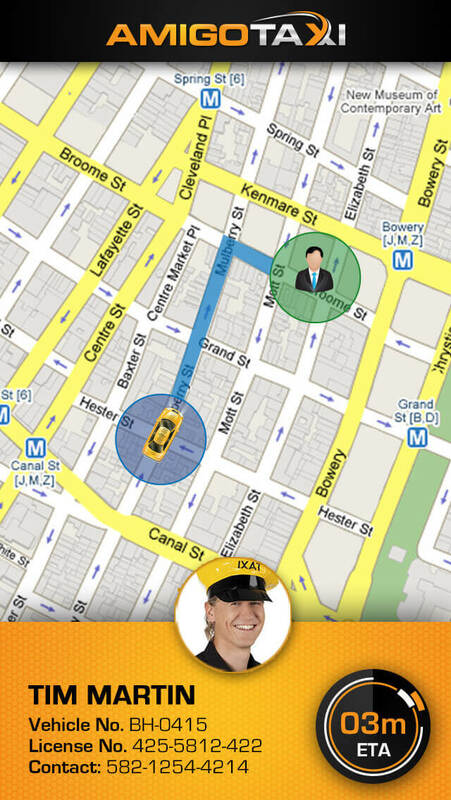 The App alerts you when the cab driver has reached your location. During the ride, you can see the map and your cab traveling to the destination. At the end of the ride, you get a fare notification and are asked to give your feedback about the ride and the driver.